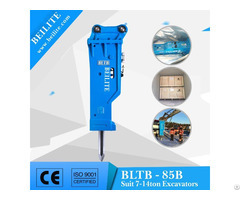 Beilite series hydraulic hammer is very reliable equipment proved by track record of long field experience. 2. Powerful Hydraulic System Increased the Impact of Nitrogen. 3. Long Working Life Reduces the Cost. 4. Simple, Convenient and Comfortable Operation, Easy Maintenance. 6. Sufficient, Precise Spare Parts of High Quality. 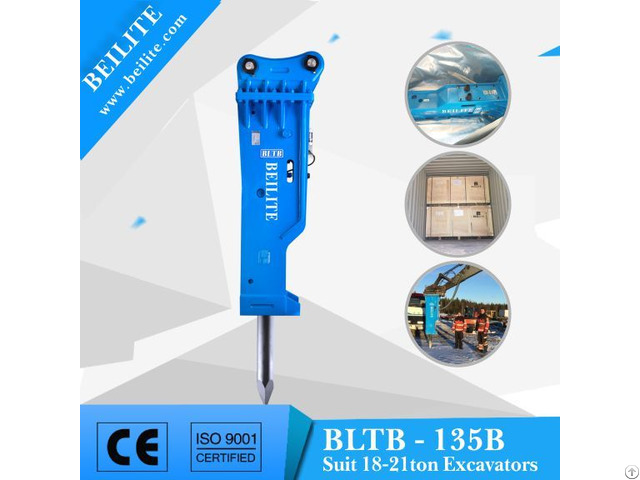 Business Description: Beilite Machinery professionally specializes in R&D and production of hydraulic breaker hammer, and continues to exploit and forge ahead in the tenet of “Quality Supreme, Credit First” and the concept of “Survival by Quality, Development by Quality”. With the help of excellent quality and impeccable aftersales service, the company perfects the domestic sales network by establishing agencies all over the country, and successfully launches into the markets in Japan, Sri lanka, South Korea and other countries, and becomes a wellknown enterprise with annual sales volume ranked the first in China.